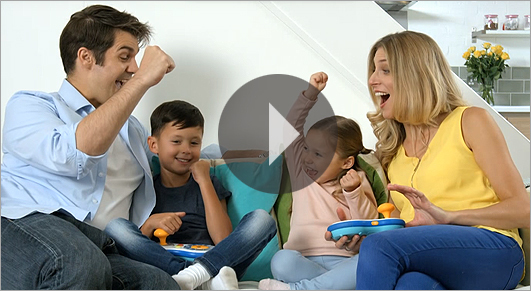 Perfect for preschoolers, InnoTV™ is a TV-connected, educational gaming system with a kid-friendly wireless controller that makes it the perfect first gaming system for kids. 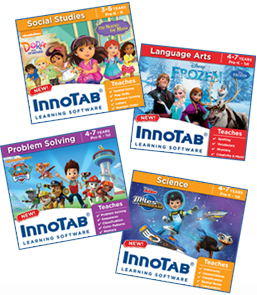 It comes with four games that introduce language arts, math, science and more, plus two multiplayer games that are fun for the whole family. The console has 8 GB of memory expandable up to 40GB1 and built-in Wi-Fi2 so you can download and store additional learning games and videos from our ever-expanding library on the Learning Lodge®. No additional cords or cables are required as the InnoTV comes with an AC Power adapter and HDMI cable. Perfect for both right-and left-handed kids! 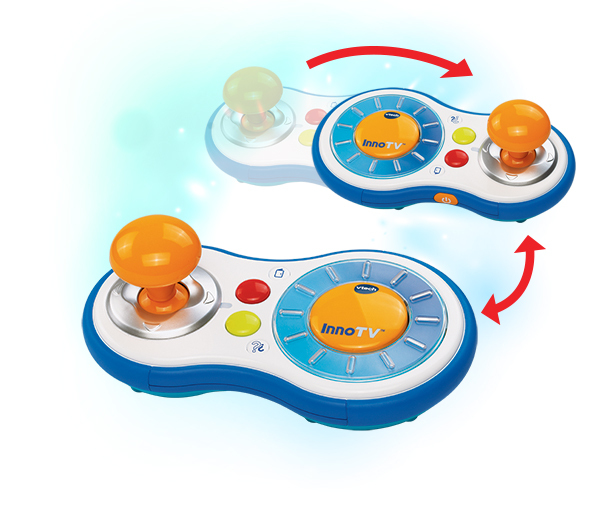 The InnoTV™ wireless controller was designed for multiple ways to play. 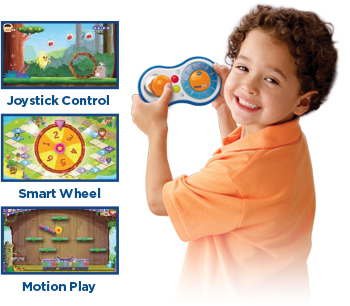 Specifically made for young hands, it features a chunky joystick, smart wheel and has motion control so kids can shake, tilt and move it to control certain game actions while they play. 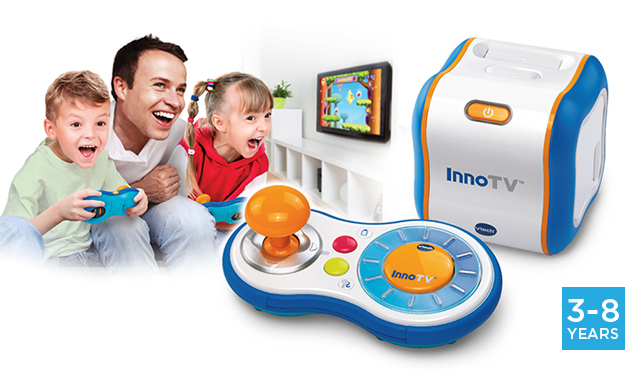 This gaming system is compatible with our educator-supported3 InnoTab® cartridges and learning game downloads. Additional games and apps are available on the Learning Lodge for even more fun.4 Visit the Learning Lodge. 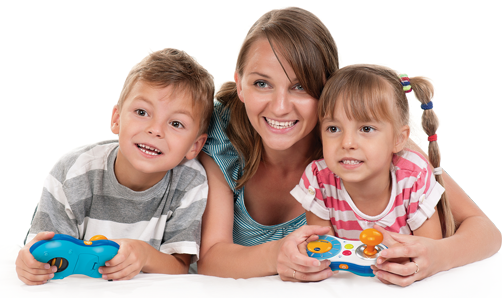 As a parent, you can use your mobile devices and join in on the fun! Connect with your smartphone or tablet to personalize your child's profile and home screen background with photos from your device, or you can play multiplayer games and customize the learning content in select game downloads. 1-8GB included, expandable with microSD memory card (not included). Some memory reserved for system use. Learning Lodge® content and some cartridge updates. Additional content may require a microSD memory card.